“Two New Mexican artists have gone more global with their art after a cultural exchange with Albuquerque’s sister city, Ashgabat, Turkmenistan. 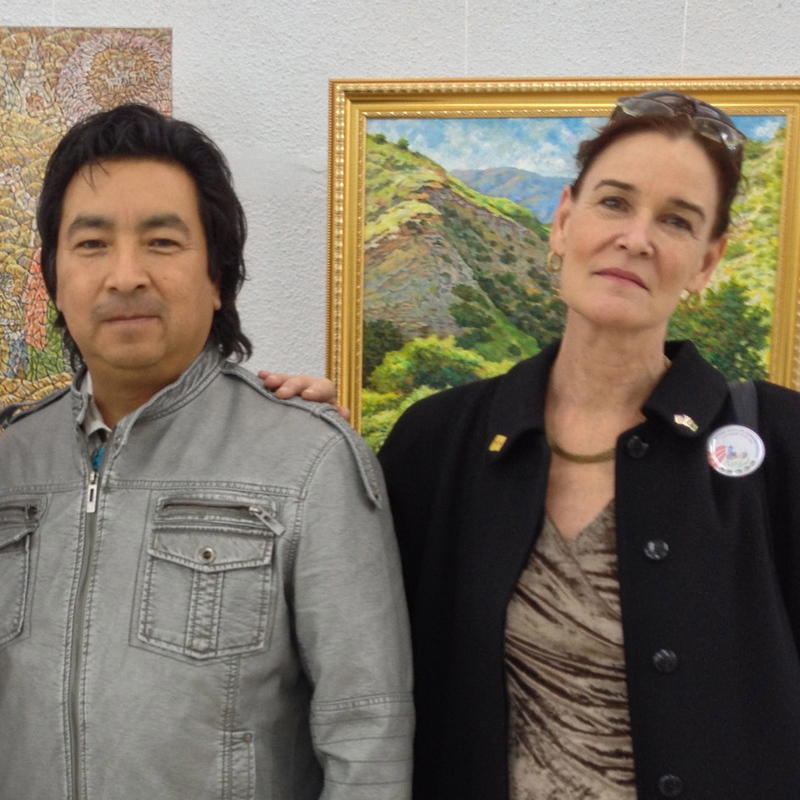 Painter Diana Stetson and Hopi jeweler Steve Wikviya LaRance shared their art in shows and their technique in lectures and demonstrations in Ashgabat as the visual artists joined a delegation of three scholars from the Smithsonian, a chef from New York City and three bands – jazz, rock and bluegrass. …Stetson and LaRance were part of The U.S. Culture Days in Turkmenistan in late November, organized by the U.S. Embassy in Ashgabat, the country’s capital, an oasis city in the Karakum Desert on the ancient Silk Route. Stetson, a full-time artist since 1985, has made fine-art printmaking her focus for more than 20 years, but began as a mixed media artist, she says. She graduated from Reed College in Oregon, and with honors in advanced studies at the Roehampton Institute in London. She also studied in Japan and Hong Kong, with Asian influences still present in her work. Along with the recent show, her work has been featured in shows and galleries around the world and in the United States. Stetson says because she has been making large-format prints in recent years, it was challenging to know exactly what to hang in the show at the National Museum of Art in Turkmenistan. She had to pack it all to fly with her, so more recent 4-foot by 4-foot paintings didn’t make it, she says.